Located just 30-45 minutes from Roanoke and Lynchburg, Smith Mountain Lake is surrounded by the beauty of the Blue Ridge Mountains. While better known for its outdoor recreation offerings, it also provides charming shopping options. One-of-a-kind boutiques and quaint shops provide a memorable shopping experience that keeps visitors coming back for more and locals feeling like they never have to leave. Whether you’re looking for souvenirs to remember your time at the lake, sporting goods, art, or even some great jam, Smith Mountain Lake’s retail options are vast and plentiful offering a little something for everyone. Visit the country store at the Homestead Creamery for dairy milk, cheeses, fresh produce, and so much more! Then enjoy a delicious lunch and sample some of their homemade ice cream in so many delectable flavors while you’re there. During the summer months, residents and visitors of Smith Mountain Lake can also visit the Westlake Farmer’s Market for locally grown produce, jams and crafts. In addition to the variety of stores located within the communities at the lake, Smith Mountain Lake also has shopping centers like Bridgewater Plaza and Westlake Towne Center that boast many different one-of-a-kind stores to cater to tourist and residents. 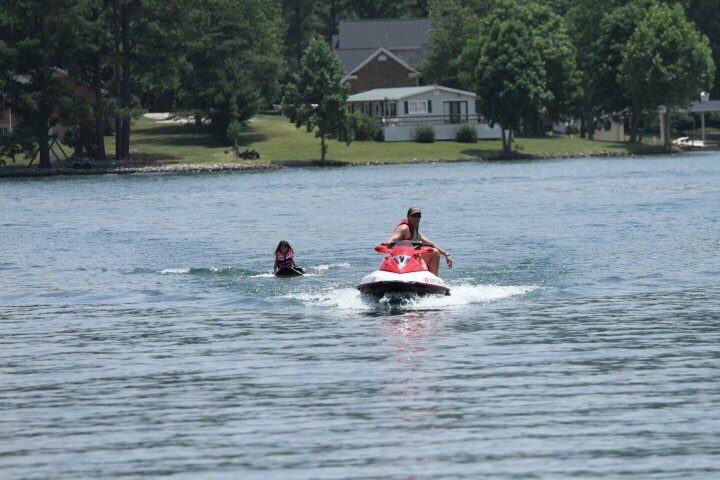 Bridgewater Plaza at Smith Mountain Lake has family fun for everyone! This area is home to the Smith Mountain Lake Visitors Center and offers shopping, dining and entertainment all in one place. Enjoy a game of miniature golf, scale the rock-climbing wall, or visit the Fun-N-Games Arcade. You can even rent boats and jet skis at Bridgewater Marina located right in the plaza. Westlake Towne Center is another key destination for shopping and retail in Smith Mountain Lake. Located just a mile away from the Westlake Golf and Country Club, the town center offers a range of services including the Westlake Cinema, Westlake Salon & Spa and plenty of dining options. Make sure to take a look at The Cottage Gate in Westlake Towne Center for seasonal décor and gift items. The store changes daily and features many local artisans to provide a unique shopping experience. With the different options for shopping at Smith Mountain Lake, you’re sure to find what you are looking for. From clothing boutiques to souvenir gift shops to sporting good stores, you’ll have something to remember the wonderful memories at Smith Mountain Lake. If you are considering a move to one of Virginia’s premier lakefront communities, please give me a call today. I would love to answer any questions and help you find your perfect home!